Istanbul: Sinek Sekiz. Wittman, H. (2011). Food sovereignty a new rights framework for food and nature?. Environment and Society: Advances in Research. 2(1), 105. Woods, N. (1999) Order, globalization, and inequality in world politics. In A. Hurrell & N. Woods (Eds.). Inequality, globalization and world politics (pp. 8-35). Oxford: Oxford University Press. ISNAD KUTLU, Kutay . "Food Security And Drawbacks Of Neo-Liberal Food Policies". 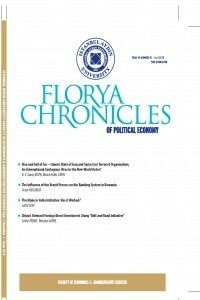 Florya Chronicles of Political Economy 2 / 2 (December 2016): 1-17.